If you’re planning on getting a job selling alcohol in Montana, then you have to take an Alcohol server training class and get a permit. But why is mandatory? And when was it put in place? How many states have Alcohol server training? If you want to know the answer to any of these questions, keep reading. What is Montana Alcohol Server Training? Montana Alcohol Server Training requires that anyone serving, selling, or overseeing the sale of alcohol be trained in responsible sale and service. This mostly includes training on how to responsible serve alcohol including when to say no to someone who is underage or who has had too much to drink, how to recognize either of those persons, how to serve alcohol in responsible quantities (I.E. no serving more than one drink per person per table), and a bit on the background behind the rules. There are currently 30 states that have mandatory alcohol server training, although server training does vary per state so you will need to get a different certification for each state you work in. How Long Does it Take to Get a Certification? Montana Alcohol Server Training or Mandatory Alcohol Server Training is mandated to be three hours in length and will take that time or longer should you choose to take a break during training. The online course at AACEA.com or AACEA.com/mt costs $19.99 and includes a full course and test with immediate certificate printout available. The course takes different amounts of time depending on the person taking it, but as it is divided into 8 modules, and you can stop between each one, having enough time to complete it is generally not a problem. Why is Alcohol Server Training Mandatory? Montana alcohol server training was introduced in 2011 with the Responsible Alcohol Sales and Service Act. The point of the training and certification is to ensure that any alcohol being sold in Montana is being sold responsibly and that those selling it are not selling to intoxicated customers, not selling to minors, not allowing secondary selling (I.E. someone purchases it and gives it to a minor) and not sold to anyone with a fake or altered ID. The training is mandatory so that the government has some way of ensuring that the people selling are abiding by these rules. Where Can I Get Alcohol Server Training? If you’re ready to get your alcohol server training and certification, you have two choices. The first is to study online. The online course, like the classroom course, is mandated to be no less than 3 hours long, but can be taken in multiple sessions depending on your preferences. You can also choose to take your course at an approved training facility. This requires that you show up on time, sit through the full course, and then pass the test in person. Both options will give you immediate access to your certification, although you will likely receive the online one more quickly because you are graded instantly. Want to know more? 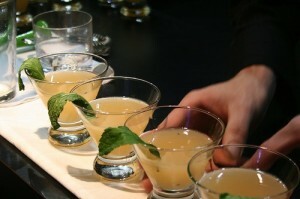 Check AACEA.com or AACEA.com/mt to learn more about our online Montana alcohol server courses. If you’re going for your Montana Alcohol Server Training certification then you probably want to become a bartender. If so, you have to know which wine glasses to use, and how to tell the difference between each one. There are five distinct styles of wine glasses, and a bartender should be able to recognize them at a glance. 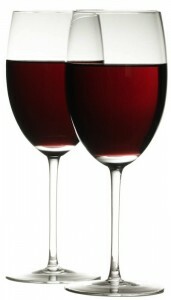 The red wine glass is the most versatile of wine glasses and is sometimes known as the ‘all purpose’ wine glass. This glass features a slightly narrowing shaft with a wide bowl and usually a shorter stem. The glass allows wine drinkers to swirl, but is open enough on the top that air can easily enter to allow the aroma of the wine to mature. Usually this glass is used to serve Bordeaux, Cabernet, Merlot, Syrah, and Shiraz. 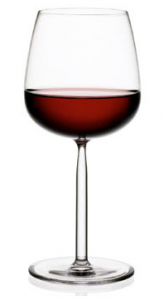 Similar to the tulip shape of the red wine glass, the dark red wine glass is typically used to serve Burgundy, Grand Cru, Pinot, and Nebbiolo. Characterized by a shorter stem and a wider bowl, dark red wineglasses are designed to allow the maximum amount of aroma to escape, which allows the taste and aroma of the rich red to mature. This glass is usually the same width or wider at the top then the bottom. This glass is also sometimes used to serve Chardonnay. 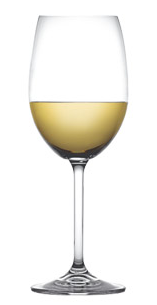 The white wine glass features a longer stem and a thinner, more tapered body that prevents air from escaping from the glass. 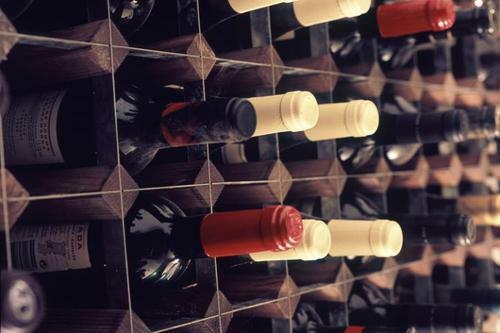 Unlike reds, whites are served chilled and should have as little exposure to air as possible. For this reason, the glass has a long stem for gripping the wineglass, and a smaller opening to prevent air from escaping. These glasses are known as ‘fluted’ or ‘tapered’ and are smaller on the top then the bottom. The champagne flute is perhaps one of the most well-known wine glasses, although most mistakenly do not refer to it as a wineglass. This glass is characterized by a tall and thin body which is used to preserve the bubbles in the drink by preventing air from escaping. 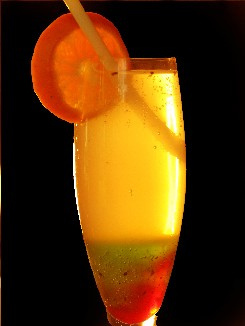 Popular drinks to serve in a champagne flute include bubbling wine such as Prosecco, Cava, Moscato, and of course, Champagne. 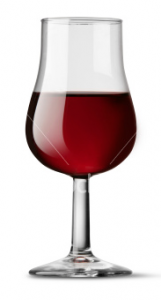 The port glass is decreasing in popularity as most bartenders simply use a dark red wine glass. However, for any bar or restaurant with the glass, it can be used to serve both port and sherry. The glass is similar to the champagne flute in that it is tapered but usually features a very wide base that tapers up to a slimmer top. Getting your Montana Alcohol Server Training certification is just the first step to becoming a bartender. 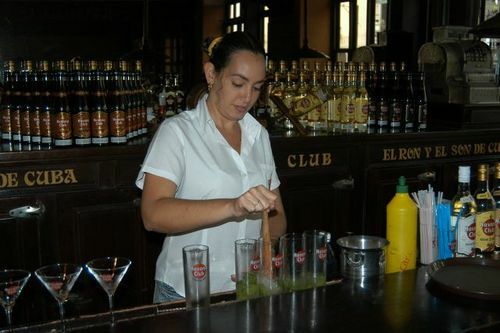 You also have to be able to recognize glasses, make drinks as needed, and of course, be able to entertain the customers. 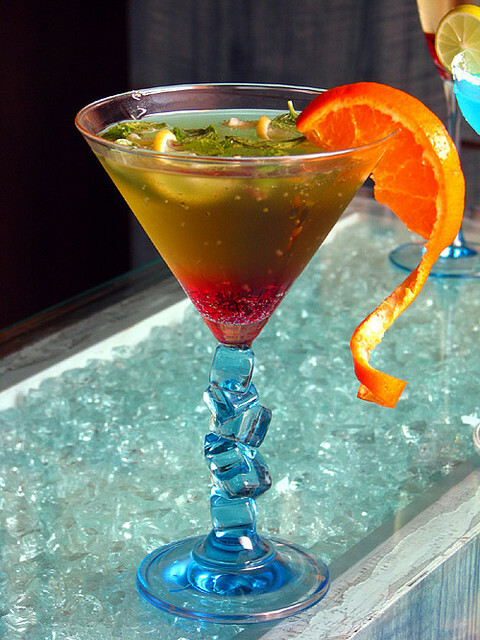 However, your alcohol server certification is your first step to becoming a licensed bartender in the state of Montana, so it is always important to start with your certification. Do I Need a Montana Alcohol Server Training License? A Montana Alcohol Server Training license for responsible alcohol serving is required for anyone who would like to serve alcohol in the state of Montana. Unfortunately, it isn’t always clear when you need training and when you don’t. For the most part, alcohol server training and certification is intended to prove that you are licensed to safely serve alcohol without serving to minors, as well as training for the responsible serving of alcohol. The following jobs usually require a certification or alcohol server training in the state of Montana. Whether in a restaurant or a bar, any server including waitresses, waiters, barbacks, or even busboys that fetch drinks must have alcohol server training. This is because it is required that anyone who serves alcohol be able to do so responsibly. This includes recognizing intoxication, checking and verifying age, and serving in responsible amounts. State law requires that no more than one alcoholic beverage is served per person at once, and that free alcoholic beverages cannot be offered to anyone in a public setting. 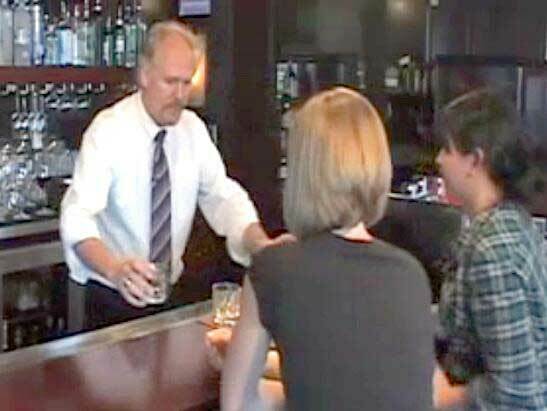 Most bartenders know that they need a Montana Alcohol server certification in order to bartend, but if you’re looking into the job, starting as a server with your Montana Alcohol Server Training is the best way to break into the career. Something that many bars and restaurants do not consider is that it is legally required for managers overseeing the sale of alcohol to have alcohol server training. Even if the manager will not be physically serving the beverages themselves, they still need the training. This is because the manager oversees everyone else, and therefore it is most important that they know the full extent of server law and responsible serving in order to uphold it at all times. Owners fall under the same category and must legally be certified in order to sell alcohol on the premises. While not everyone in this category requires an alcohol server certification, most do. The line is drawn at checking identification for the control of alcohol sale and consumption. Anyone who checks IDs or refuses the sale of alcohol must be certified under Montana law. Therefore any indoor security, anyone refusing entrance to minors, and anyone controlling the sale of alcohol must be certified. Most people are not aware that a cashier selling alcohol in a bar, restaurant, grocery store or liquor store must have an alcohol certification, but it is a fact. Another consideration is that it is required by law that cashiers be a minimum of 21 years old. This is different from the 18 year old age limit for servers in restaurants and bars. Most of the time, anyone who has anything to do with the preparation or serving of alcohol should have a Montana Alcohol Server certification. Furthermore, anyone who controls the sale, or watches over and hires people serving alcohol should be certified as well. Using this rule, anyone under either of these categories should get their Montana Alcohol Server Training.